How to avoid Malaria. 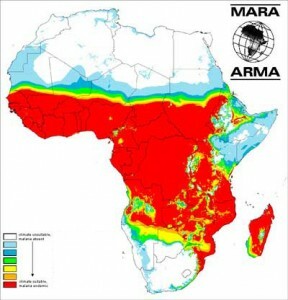 Malaria is a risk many places in Africa. GoSurfAfrica.com recommends you to medicate yourself to avoid catching this disease. Remember that the Malaria in Africa is worse than the kind of Malaria you can catch in Asia and elsewhere. Untreated it can be fatal. Ask your doctor and let him know your itinerary for your surf trip. Remember to take your perscripted Malaria medicine. Try to avoid mosquitoes at night. This is where the Malaria mosquitoes are active. Air-condition keeps mosquitoes away. So turn it on. If no A/C, sleep under a impregnated Mosquito net. Cover your body with clothes to apprehend the mosquitoes to bite you. Use mosquito repellant all the time. The local stuff is often effective (and probably pretty toxic as well). Mosquitoes love shadow and hides under floorboards and in other shaded areas. Be extra careful here. If infected, do contact medical assistance right away and start treat yourself with your Malaria medicine. If you are prescripted medicine by an African doctor, do contact your own doctor before to get a second oppinion, as fake medicine with no effects is a serious problem some places in Africa.